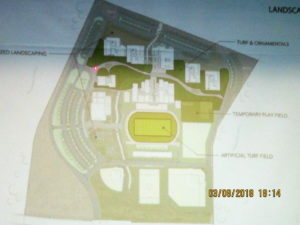 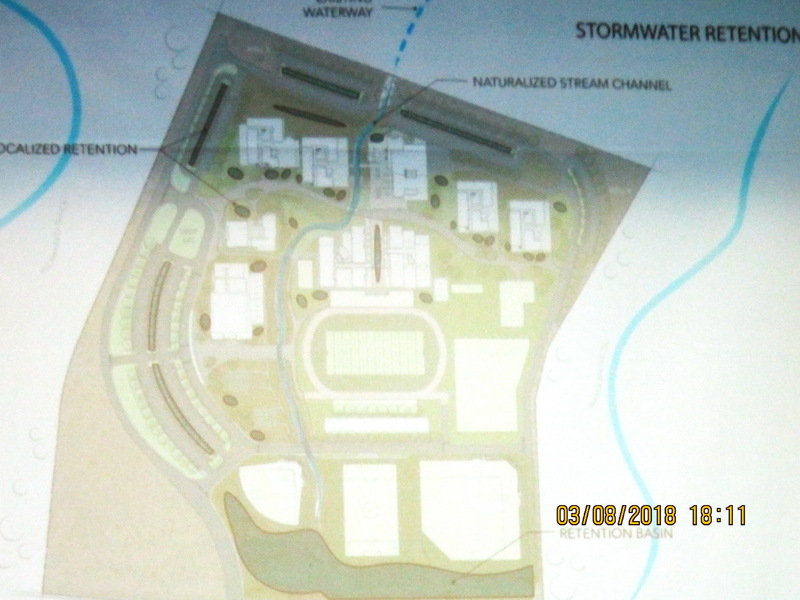 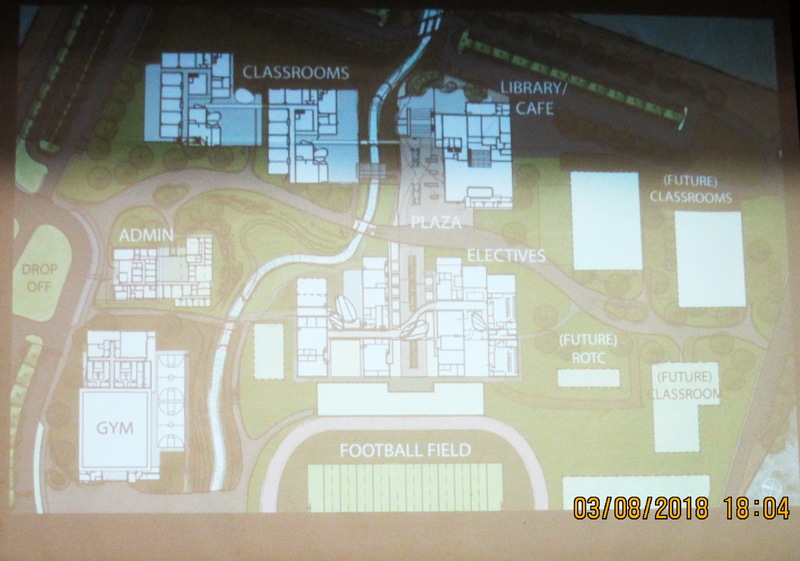 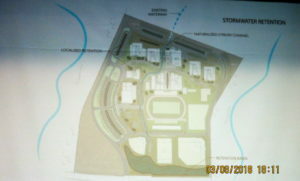 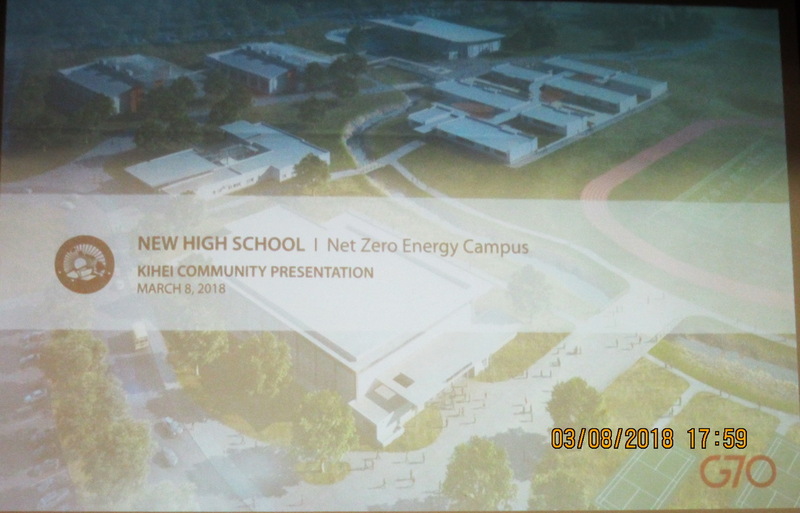 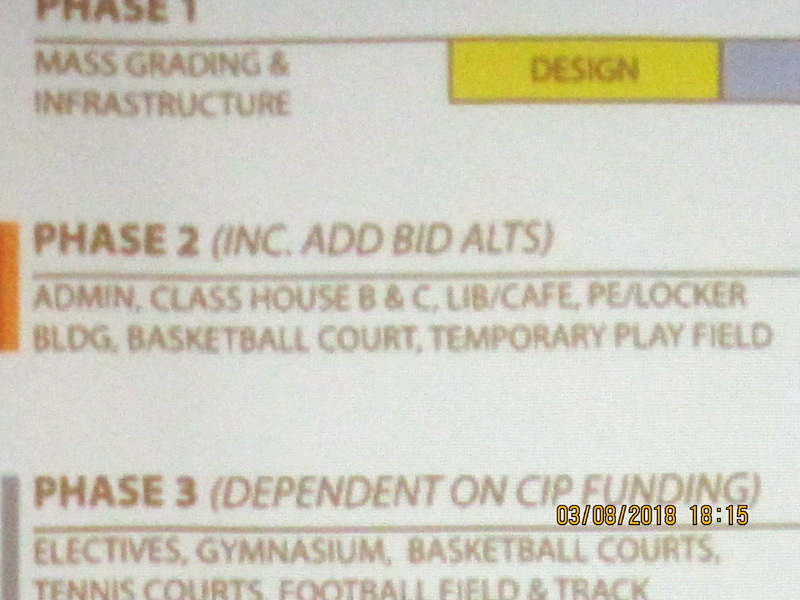 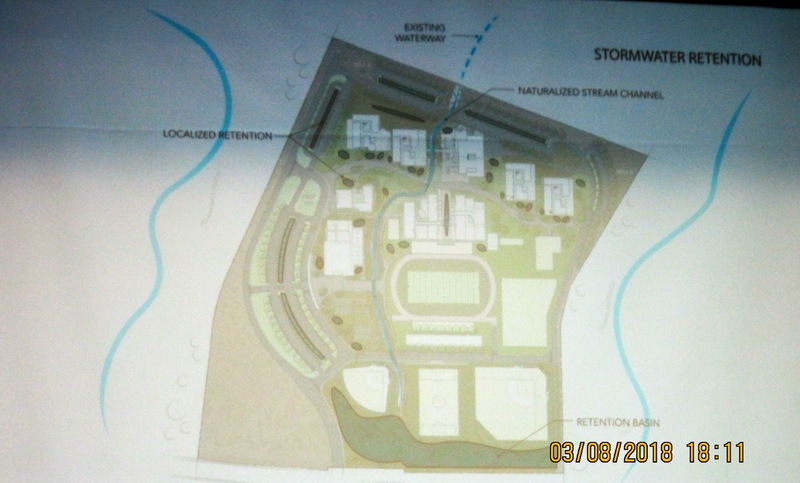 So what did we learn about a new High School in Kihei from the State Dept/Board of Education? 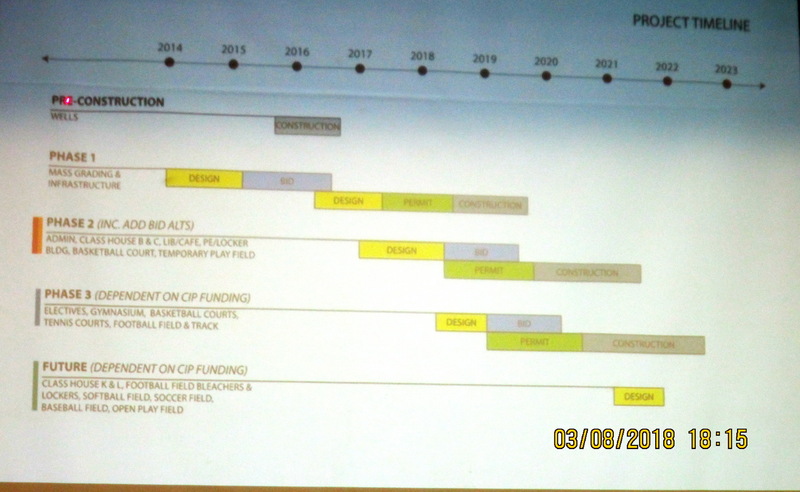 First meeting with representatives in several years offers yet another update: 2021 opening? Just looking back over the last decade, the last public meeting with the State DOE was back on September 16, 2014 at our general membership meeting. 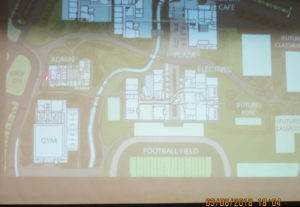 Before that there was one in 2009. 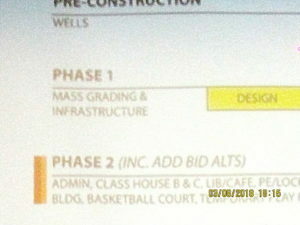 So we approached this one this evening with caution; too often we hear the same vague promises which yield minimal progress. 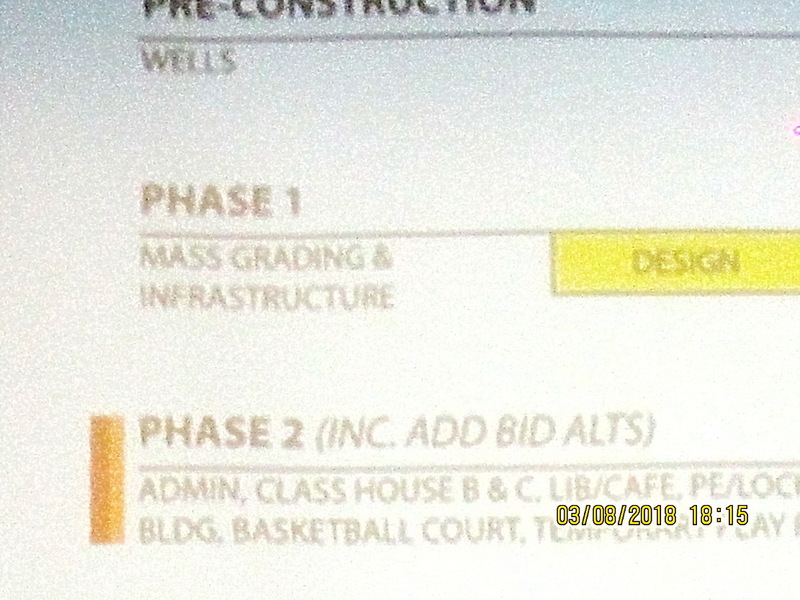 Yes, we all remember that GROUNDBREAKING back 26 months ago, but all we see is a sign on Piilani Highway. What can we project from that? 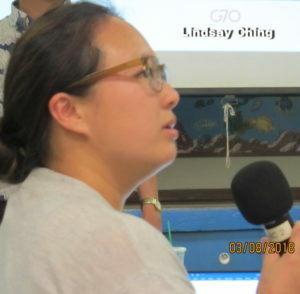 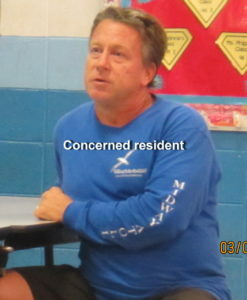 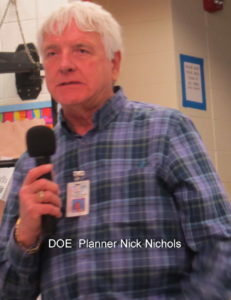 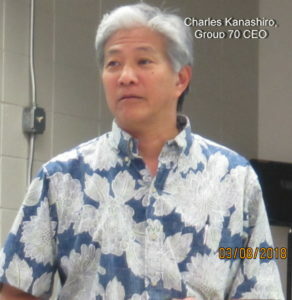 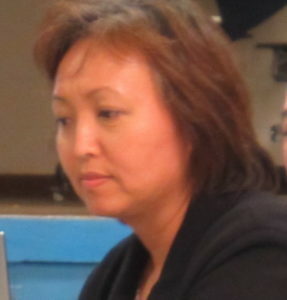 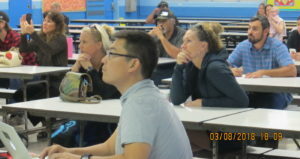 Hawaii Board of Education (BOE) Planner Nick Nichols and the HDOE consultant Charles Kaneshiro, President & CEO of G70 (formerly named Group 70), along with Lindsay Ching and other guys from the G70 team offered a slide presentation to about 50 people at the Kihei Elementary school cafeteria. 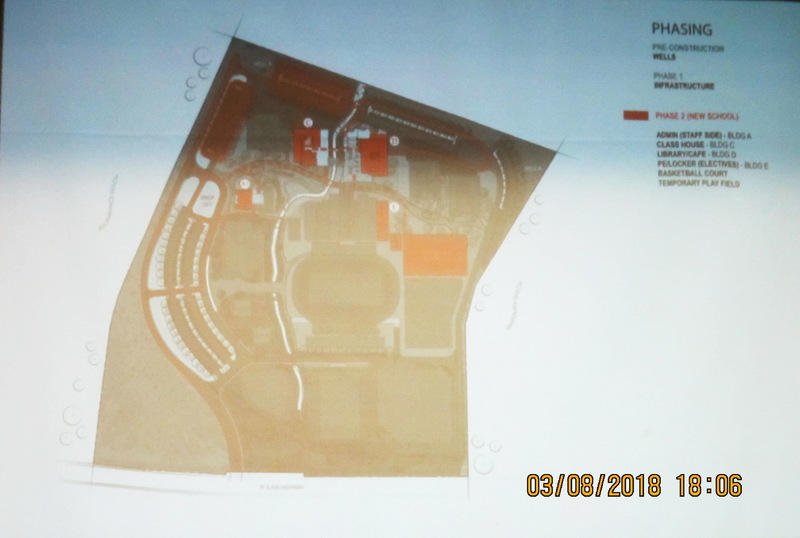 While expressing strong support and feeling some excitement that this way-too-long project may really become a reality, our mood was tempered by so many previous false hopes. 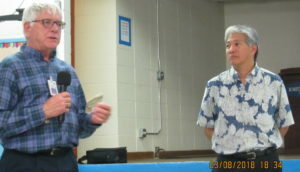 Like Charlie Brown hoping this time Lucy won’t pull the football away, no one is sure. 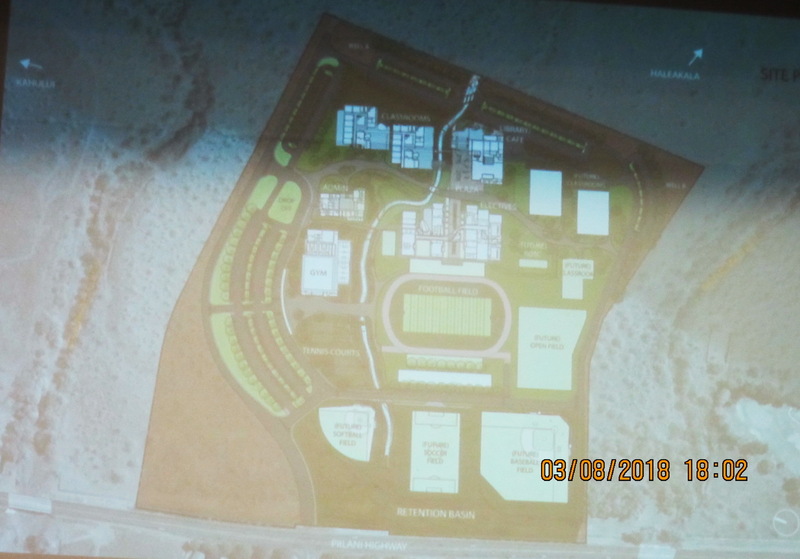 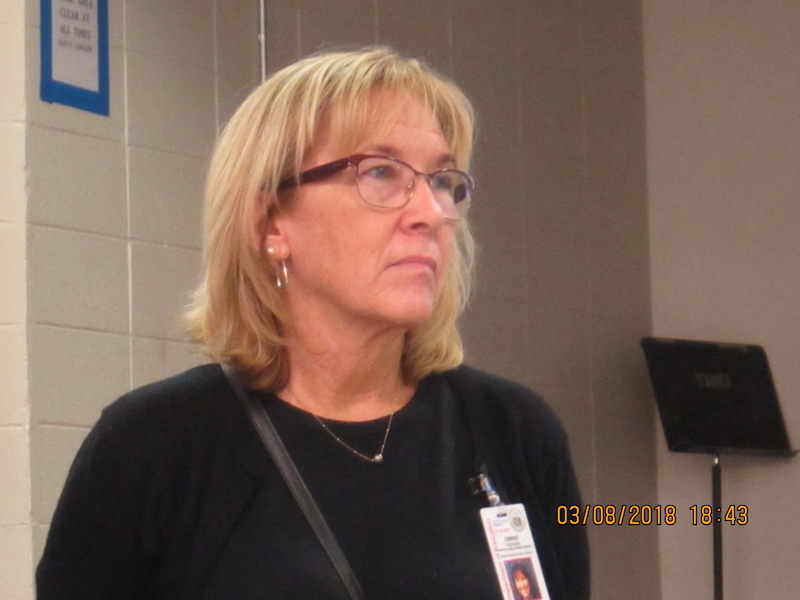 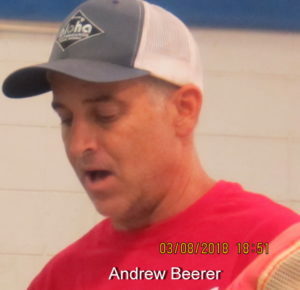 OK, so going for a positive outcome, actual work on the land could begin this summer, with grubbing done by Goodfellow Brothers Inc.and a projected opening for the 2021-22 term for 9th-10th grade. 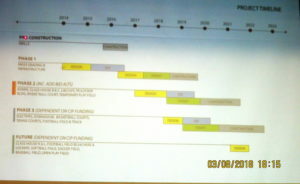 While that is so many years later than initially indicated, IF true that is 41 months away, and many in the room expressed doubt. 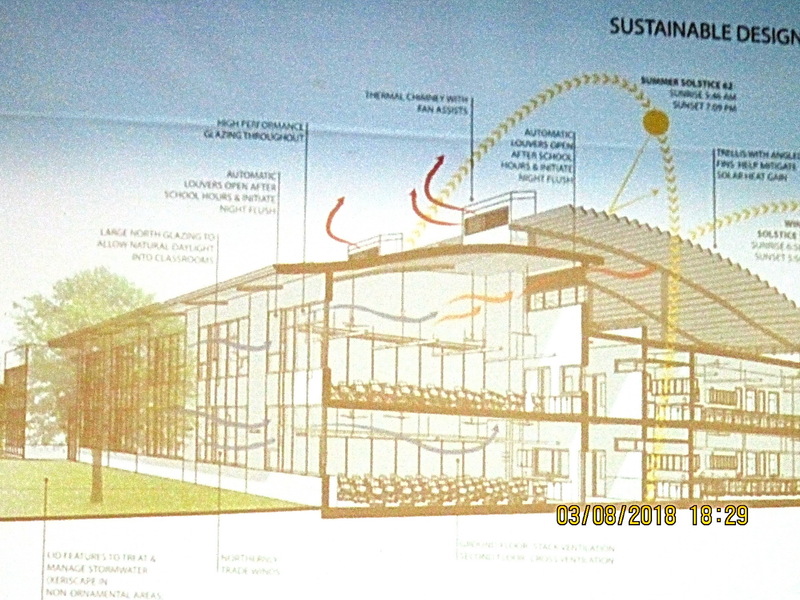 The site is about 80 acres mauka of the Pi’ilani Highway at Kulanihakoi and would furnish 900 parking stalls, a student capacity of 1650, an air conditioned combination library/cafeteria, a gym seating between 1200 and 1600, and a future projected net zero energy consumptions, but just when is very vague. So we’ll see where we are in June. 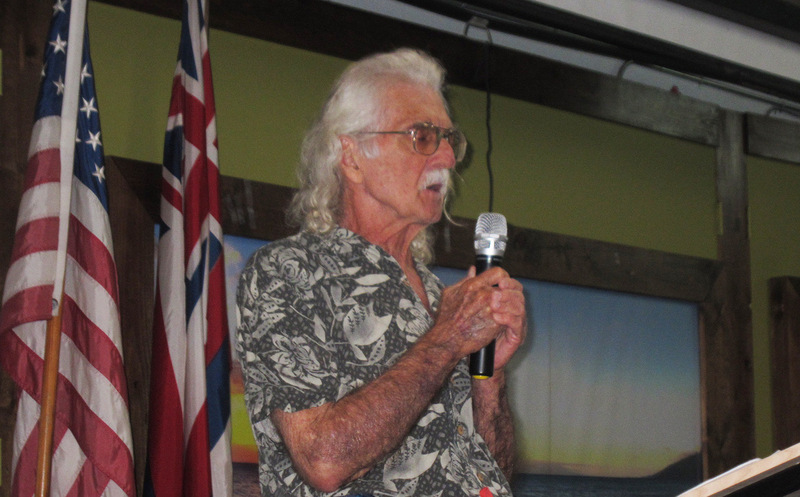 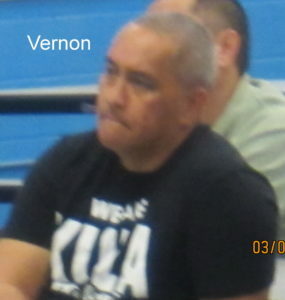 Look for a professional report on the meeting in the Maui News soon. 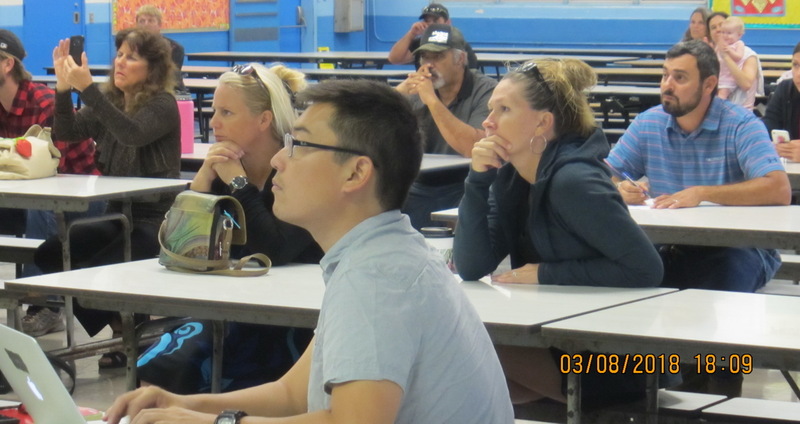 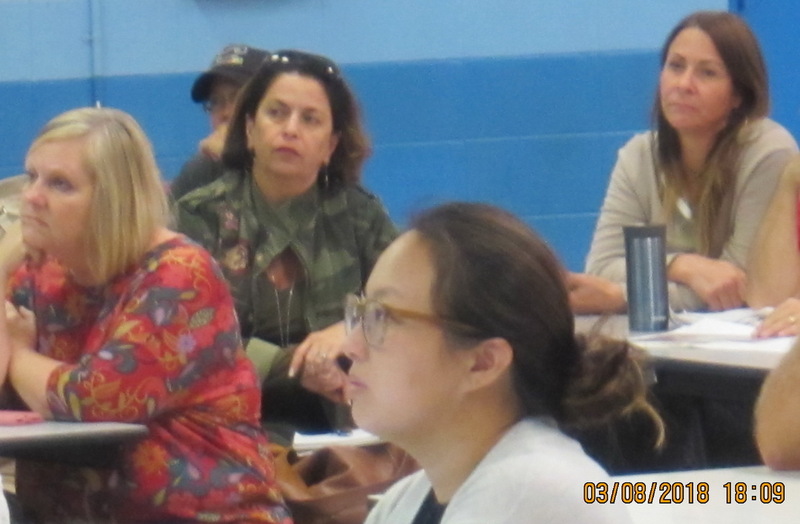 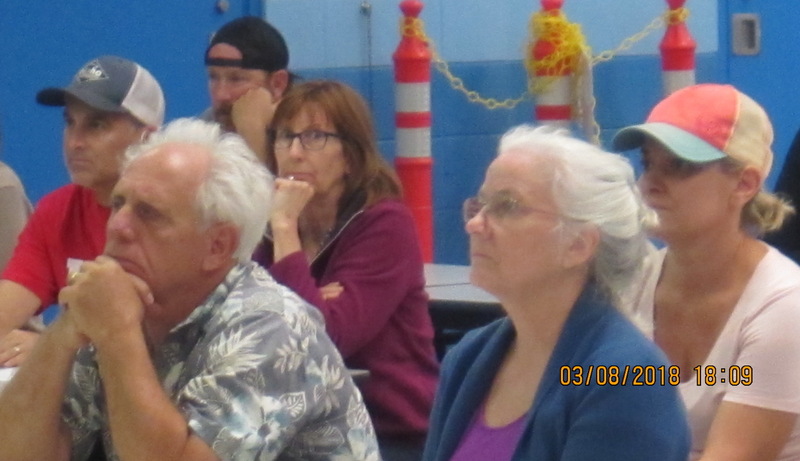 g3/8/18 #kihei Just going back over the last decade, the last public meeting with the State DOE was back on September 16, 2014 at our general membership meeting. 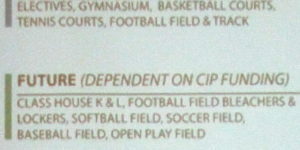 Before that there was one in 2009 . So we approached this one this evening with caution; too often we hear the same vague promises which yield minimal progress. Yes we all remember that GROUNDBREAKING back 26 months ago, but all we see is a sign. 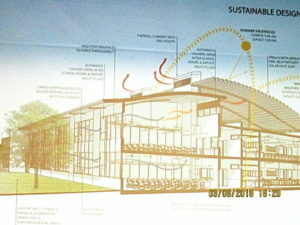 What can we project from that? 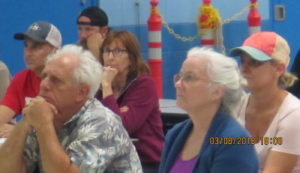 NextWhat is Happening in Kihei the Evening of March 29? If we do not get the high school started this summer, that is a clue to us to vote all of the incumbents out. 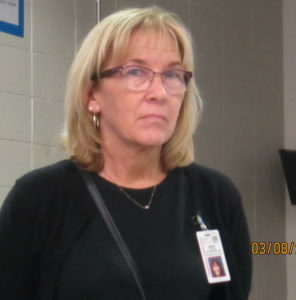 They have failed us. 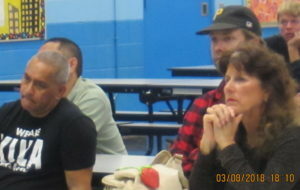 The definition of insanity is doing the same thing over again and expecting different results. 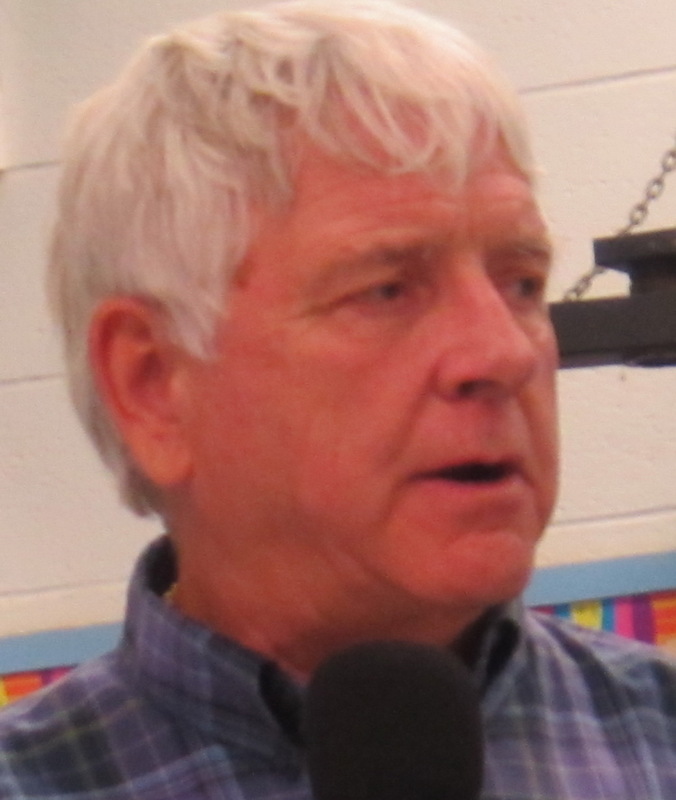 Vote every incumbent out that you are able to vote for. 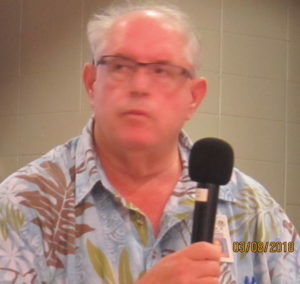 That way, maybe we will get politicians in who are better able to negotiate for Maui. Words need to be put into action!